In case you hadn’t noticed, this month saw the publication of Kenneth Hayne’s final report into Misconduct in the Australian Banking and Financial Services sector. A multitude of questions have emerged from the recommendations. In this month’s blog we focus on one: What lessons can be learnt from the report that apply to all leaders – no matter what their industry? In line with our key focus on supporting and developing leaders, we are very proud to be introducing our inaugural 20:20 Visionary Leader Excellence Award”, which carries a prize of a 12-month Intensive Leadership Coaching Package with one of Australia’s top coaches valued at over $15,000. Full details on these awards can be found below or online. This is a fabulous opportunity to recognise your outstanding leaders. Applications close 31st March 2019 and we look forward to receiving your nominations. The implications from the Hayne Royal Commission will be picked over for many months, but there’s one immediate lesson that applies right now to every senior leader. How you “show up” matters. And it matters a lot. It certainly mattered for the National Australia Bank’s CEO Andrew Thorburn and chairman Ken Henry, who after being publicly rebuked in the Final Report of the inquiry into the financial services industry, finally had to step down. At their appearances last year at the Commission, both men were notably more defensive in their demeanour than other leaders. Henry’s performance, in particular, was described by journalists as “bullying”, “lecturing” and “dismissive”, and “misjudging the public’s mood”. Thorburn’s appearance was described as, at times, descending into absurdity and “evasive”. In his final report, Commissioner Hayne concluded: “NAB also stands apart from the other three major banks. Having heard from both the CEO, Mr Thorburn, and the Chair, Dr Henry, I am not as confident as I would wish to be that the lessons of the past have been learned,” writes Hayne. “More particularly, I was not persuaded that NAB is willing to accept the necessary responsibility for deciding, for itself, what is the right thing to do, and then having its staff act accordingly. It was a damning assessment of one of Australia’s big four banks – all of which seems to be a direct consequence of how the top NAB executives showed up at the Commission hearings. 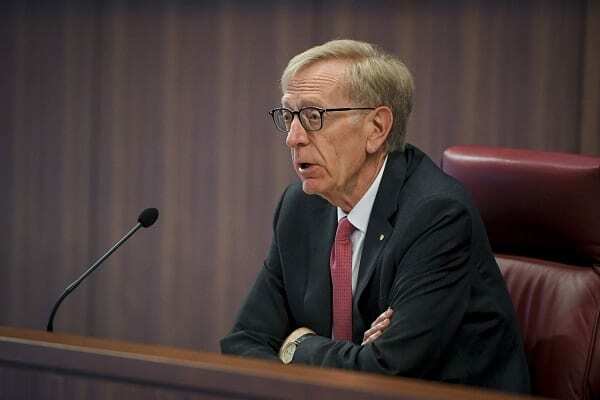 Of all the leadership attributes that needed to show up in the pressure cooker of judicial interrogation that was the Royal Commission, it appears that it was the absence of one attribute that mattered the most—humility. To underscore the point, the bank bosses who did show contrition during the Commission hearings, an awareness of the damage done, and a willingness to take remedial action, dodged a bullet. Before his excoriating conclusions about NAB and its leaders, Hayne noted he was persuaded that Matt Comyn, CEO of CBA and Shayne Elliot, CEO of ANZ, were well aware of the size and nature of the tasks that lay ahead. 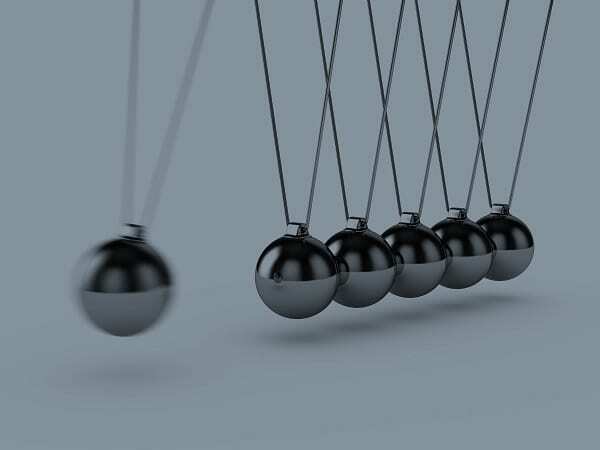 Last year the Governor of the Bank of England, Mark Carney, suggested four essential characteristics of leadership in a disruptive age: ambition (for the organisation), clarity, purpose, and, yes, humility. What the NAB departures have demonstrated is that what sets humility apart from the other attributes on Carney’s list is that when humility is missing – or perceived to be missing – the negative effects can be huge. In our experience of working with senior leaders who need to “show up” with positive impact in high-stakes scenarios, demonstrating humility doesn’t always come naturally. Or they are oblivious to its absence. 2. Align your intent with your audience’s expectations. This is a hidden pitfall for many senior leaders. They often operate in environments where they need to be seen to be bullet proof. Their default setting is to dispense with the cloak of humility and replace it with the armour of invincibility. This does not play well with most audiences. Yet it is only in the unforgiving and high-stakes environment of a public inquiry that a bright light is shone on this blind spot. In the case of Henry and Thorburn that was too late. Another blind spot for senior leaders is their ability to appear authentic. We tend to judge ourselves by intent. Yet others judge us by our behaviours. When there is an incongruence between these two things, it creates a perception of inauthenticity. And perception becomes the reality. Here’s an example of incongruence: a witness is thanking the counsel for their question while visibly bristling with indignation. These are ‘the moments of truth’ where what we are seeing and what we are hearing don’t quite match up. When there is a critical mass of these moments on incongruity, we unconsciously formulate a perception of “evasiveness” or “arrogance”. Even in the age of Trump, humility trumps arrogance. Mehul Joshi , Partner, Stephenson Mansell Group. 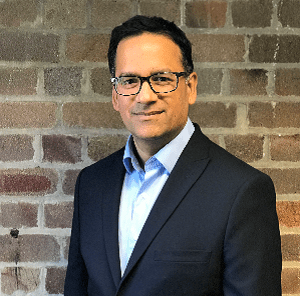 Mehul Joshi is a former award-winning BBC journalist and is now a sought-after consultant and executive coach in leadership development and employee engagement, with career spanning three decades and four continents. Be in the chance to win a 12-month Intensive Leadership Coaching Package, valued at over $15,000. In line with SMG’s vision and in recognition of our 20-year anniversary of growing and developing leaders, SMG is honoured to introduce the inaugural 20:20 Visionary Leader Excellence Awards. This Award program aims to recognise outstanding leaders from across all industries who demonstrate “20:20 vision” for the future – leaders the world needs: those who inspire and effect change. What is evident from the Royal Commission, is that presence and your presentation skills, can be just as critical as what you have to say, especially when needing to establish credibility. Designed exactly to develop these skills and back by popular demand, our Executive Presence and Impact Workshop empowers you to foster your authentic leadership presence, develop your confidence and become more influential. It enables you to recognise and overcome your roadblocks to success. Optional Coaching Extension now also available. In light of the Royal Commission, ethics and decision making have never been more significant. It is no longer sufficient to consider what can be done, but to apply the lens of what should be done. This creates a whole other layer through which decisions need to be considered. With the concept of a social licence to operate permeating the public imagination, leaders need to consider how and what they do with much greater scrutiny than ever before, not just for their efficacy, but also for their impact on society. Leadership just got that much more complex. 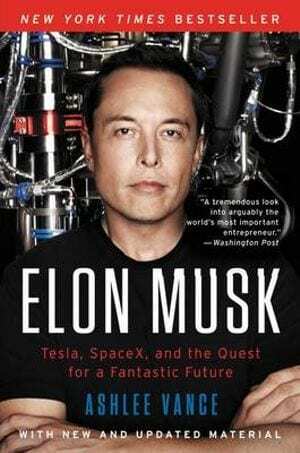 ‘When: The Scientific Secrets of Perfect Timing’ by Daniel H. Pink. 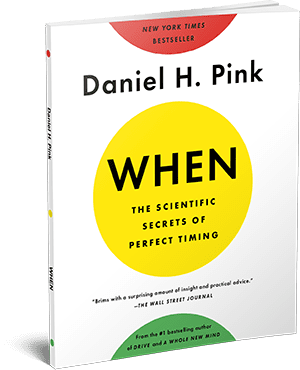 In “When”, Pink distills cutting-edge research and data on timing and synthesises them into a fascinating, readable narrative packed with irresistible stories and practical takeaways that give readers compelling insights into how we can live richer, more engaged lives.